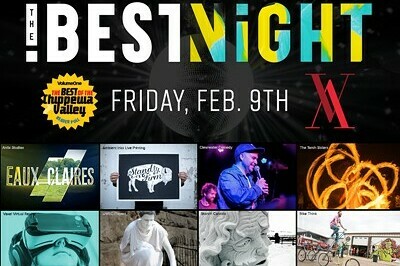 The Best Night is a creative, dynamic, and interactive cocktail party — a celebratory evening of food, drinks, music, technology, art, and camaraderie. A chance to celebrate the very best of the Chippewa Valley. VIP Access includes early access to parking and party. Complimentary drinks (6:30pm-7:30pm). Butler hors d'oeuvres service. Portion of the proceeds goes to charity. VIP Swag Bag.